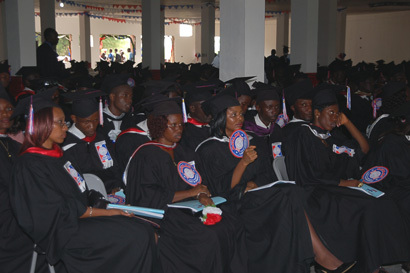 On Wednesday April 4, 2007, the University of Liberia held its 86th Commencment Convocation. 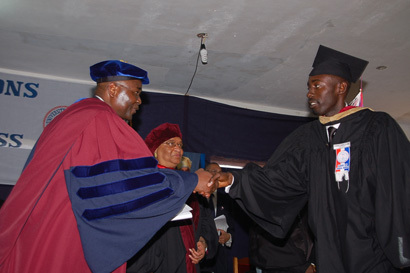 US Ambassador Donald E. Booth delivered the Convocation Address. Scenes from that occasion are highlighted in this photo gallery. 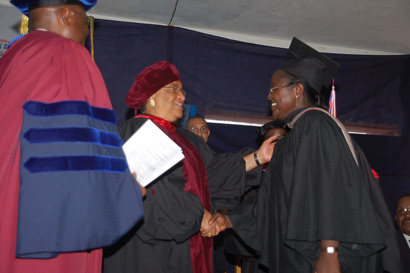 President Sirleaf greets outgoing Sweden Ambassador Lena Nordstr__m. Outgoing Sweden Ambassador Lena Nordstr__m chats with President Sirleaf. 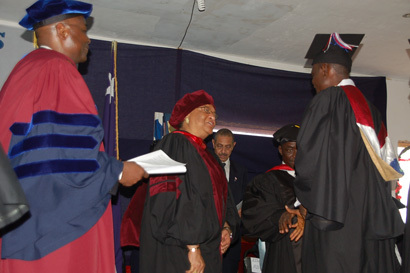 President Sirleaf flanked by an array of guests at PUL's induction ceremony. Some of the released prisoners including Ophoree Diah in white with a low head cut. Some of the released prisoners rejoicing with friends and relatives at the Monrovia Central Prison. 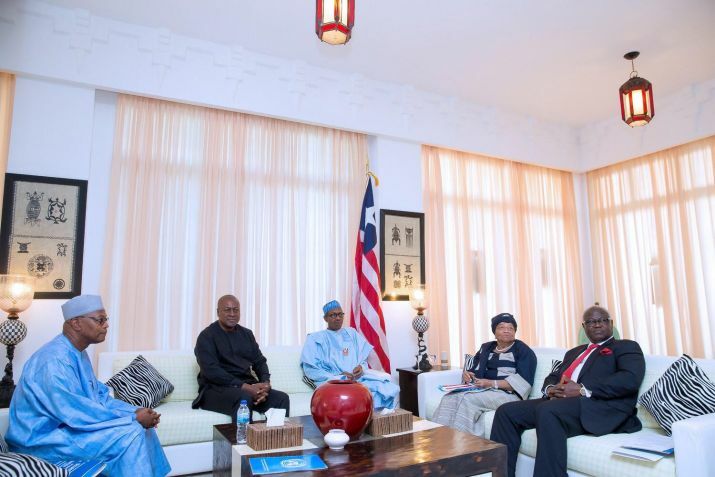 President Sirleaf and authorities of JFK. 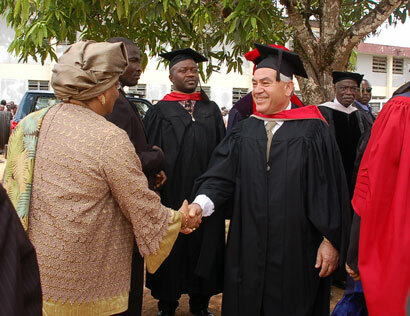 President Sirleaf Visits Deceased VP - Dr. Moniba�s Family Ahead Reburial Ceremony. 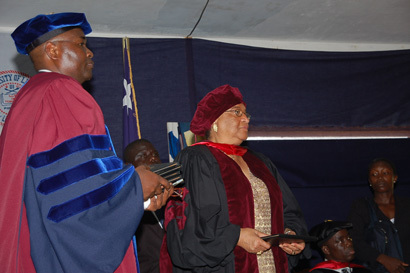 President Sirleaf Receives Dr. Mohammed Ibn Chambas; Identifies With Widows. 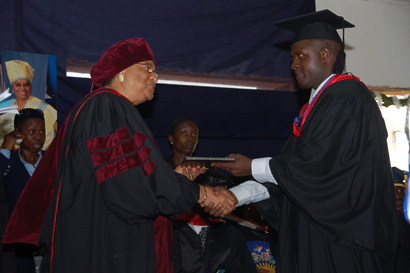 President Sirleaf Commissions Six Senior Government Officials. 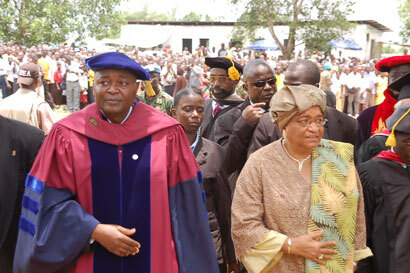 ECOWAS Names January �16� Human Rights Day in Honor of President Sirleaf. 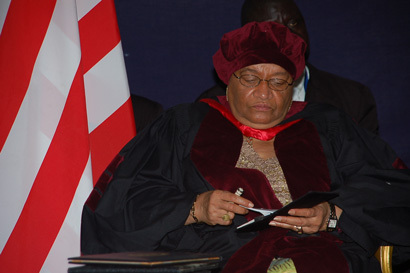 President Sirleaf chairs the 50th Session of the Assembly of ECOWAS Heads of State in Abuja Nigeria. 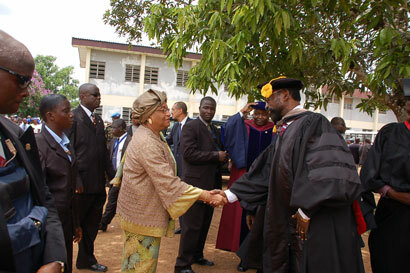 President Sirleaf performs epoch-making hydro turning on ceremony.